For other uses, see Milledgeville (disambiguation). Milledgeville is a city in and the county seat of Baldwin County in the U.S. state of Georgia. It is northeast of Macon and bordered on the east by the Oconee River. The rapid current of the river here made this an attractive location to build a city. It was the capital of Georgia from 1804 to 1868, notably during the American Civil War. Milledgeville was preceded as the capital city by Louisville and was succeeded by Atlanta, the current capital. Today U.S. Highway 441 connects Milledgeville to Madison, Athens, and Dublin. The population of the town of Milledgeville was 17,715 at the 2010 census. Milledgeville is along the route of the Fall Line Freeway, which is under construction to link Milledgeville with Augusta, Macon, Columbus, and other Fall Line cities. They have long histories from the colonial era of Georgia. Milledgeville is the principal city of the Milledgeville Micropolitan Statistical Area, a micropolitan area that includes Baldwin and Hancock counties. It had a combined population of 54,776 at the 2000 census. The Old State Capitol is located here; it was added to the National Register of Historic Places (NRHP). Much of the original city is contained within the boundaries of the Milledgeville Historic District, which was also added to the NRHP. Milledgeville, named after Georgia governor John Milledge (in office 1802–1806), was founded by European Americans at the start of the 19th century as the new centrally located capital of the state of Georgia. It served as the state capital from 1804 to 1868. In 1803 an act of the Georgia legislature called for the establishment and survey of a town to be named in honor of the current governor, John Milledge. The Treaty of Fort Wilkinson (1802) had recently forced Native American tribes to cede territory immediately west of the Oconee River. The white population of Georgia continued to press west and south in search of new farmland. The town of Milledgeville was developed in an area that had long been occupied by indigenous peoples. In December 1804 the state legislature declared Milledgeville the new capital of Georgia. The new planned town, modeled after Savannah and Washington, D.C., stood on the edge of the frontier at the Atlantic fall line, where the Upper Coastal Plain meets the foothills and plateau of the Piedmont. The area was surveyed, and a town plat of 500 acres (2.0 km2) was divided into 84 4-acre (16,000 m2) squares. The survey also included four public squares of 20 acres (81,000 m2) each. After 1815 Milledgeville became increasingly prosperous and more respectable. Wealth and power gravitated toward the capital. Much of the surrounding countryside was developed by slave labor for cotton plantations, which was the major commodity crop of the South. Cotton bales regularly were set up to line the roads, waiting to be shipped downriver to Darien. The cotton boom in this upland area significantly increased the demand for slave labor. The town market, where slave auctions took place, was located on Capital Square, next to the Presbyterian church. Skilled black carpenters, masons, and laborers were forced to construct most of the handsome antebellum structures in Milledgeville. In 1825 the capital was visited by American Revolutionary War hero and aristocrat, the Marquis de Lafayette. The receptions, barbecue, formal dinner, and grand ball for the veteran apostle of liberty seemed to mark Milledgeville's coming of age. The Governor's Mansion was constructed (1836-38/39); it was one of the most important examples of Greek revival architecture in America. By 1854 Baldwin County had a total population of 8148, of whom 3566 were free (mostly white), and 4602 were African-American slaves. On January 19, 1861, Georgia convention delegates passed the Ordinance of Secession, and on February 4, 1861, the "Republic of Georgia" joined the Confederate States of America. In the closing months of the war, in November 1864 Union general William T. Sherman and 30,000 Union troops marched into Milledgeville during his March to the Sea. Before leaving a couple of days later, they had poured sorghum and molasses down the pipes of the organ at St. Stephen's Episcopal Church. In 1868, during Reconstruction, the state legislature moved the capital to Atlanta—a city emerging as the symbol of the New South as surely as Milledgeville symbolized the Old South. Milledgeville struggled to survive as a city after losing the business of the capital. The energetic efforts of local leaders established the Middle Georgia Military and Agricultural College (later Georgia Military College) in 1879 on Statehouse Square. Where the crumbling remains of the old penitentiary stood, Georgia Normal and Industrial College (later Georgia College & State University) was founded in 1889. In part because of these institutions, as well as Central State Hospital, Milledgeville developed as a less provincial town than many of its neighbors. In the 1950s the Georgia Power Company completed a dam at Furman Shoals on the Oconee River, about 5 miles (8 km) north of town, creating a huge reservoir called Lake Sinclair. The lake community became an increasingly important part of the town's social and economic identity. In the 1980s and 1990s Milledgeville began to capitalize on its heritage by revitalizing the downtown and historic district. It encouraged restoration of historic buildings and an urban design scheme on Main Street to emphasize its character. By 2000 the population of Milledgeville and Baldwin County combined had grown to 44,700. Community leaders have made concerted efforts to create a more diversified economic base, striving to wean the old capital from its dependence on government institutions such as Central State Hospital and state prisons. The state has recently closed some prisons and reduced jobs at Central State, due to tightening state budgets. Milledgeville is located at 33°5′16″N 83°14′0″W﻿ / ﻿33.08778°N 83.23333°W﻿ / 33.08778; -83.23333 (33.087755, -83.233401) and is 301 feet (92 m) above sea level. According to the United States Census Bureau, the city has a total area of 20.6 square miles (53.3 km2), of which 20.4 square miles (52.9 km2) is land and 0.15 square miles (0.4 km2), or 0.74%, is water. 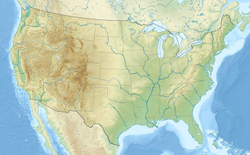 Milledgeville is located on the Atlantic Seaboard fall line of the United States. The Oconee River flows a half mile east of downtown on its way south to the Altamaha River and then south to the Atlantic Ocean. Lake Sinclair, a man-made lake, is about 5 miles (8 km) northeast of Milledgeville on the border of Baldwin, Putnam and Hancock counties. Milledgeville is composed of two main districts: a heavily commercialized area along the highway known to locals simply as "441," extending from a few blocks north of Georgia College & State University to 4 miles (6 km) north of Milledgeville, and the "Downtown" area, encompassing the college, buildings housing city government agencies, various bars and restaurants. This historic area was laid out in 1803, with streets named after other counties in Georgia. As of the census of 2000, there were 18,757 people, 4,755 households, and 2,643 families residing in the city, although a 2005 study estimates there to be a population of 19,397. The population density was 938.8 people per square mile (362.5/km²). There were 5,356 housing units at an average density of 268.1 per square mile (103.5/km²). The racial makeup of the city was 49.94% White, 47.68% African American, 0.13% Native American, 1.55% Asian, 0.01% Pacific Islander, 0.20% from other races, and 0.50% from two or more races. Hispanic or Latino people of any race were 1.23% of the population. In the city, the population was spread out with 16.0% under the age of 18, 20.9% from 18 to 24, 32.3% from 25 to 44, 19.6% from 45 to 64, and 11.2% who were 65 years of age or older. The median age was 33 years. For every 100 females, there were 166.0 males. For every 100 females age 18 and over, there were 173.2 males. The Milledgeville City Council is the city's legislative body, with the power to enact all ordinances and resolutions and controls the funding of all designated programs. Six council members are elected to represent their district, while the mayor is elected at-large, by city voters, for a four-year term. City Council meetings are held on the second and fourth Tuesday of the month. Meetings are open to the public and televised locally on MBC TV-4 Milledgeville/Baldwin County Governmental/Educational Access Cable Channel on local Charter Communications. In the November 2017 general election, incumbent Mayor Gary Thrower was defeated by Mary Parham-Copelan. She was sworn in as the city's first African-American female mayor on December 29, 2017. Council District 5: Richard Mullins Jr. The Milledgeville Police Department is the law enforcement agency serving the city and its residents. The department consists of 68 employees, 43 of which are sworn police officers. The department is a progressive law-enforcement agency and earned state certification in 2001 by the Georgia Association of Chiefs of Police. The department is one of only 103 agencies that have achieved this distinction in Georgia. The current[when?] Chief of Police is Dray Swicord. The Milledgeville Fire Department provides fire and rescue service for the city and its residents. It operates out of two fully manned fire stations strategically located within the city to minimize response times. Emergency medical services are provided to the city by Atlanta-based Grady EMS. Milledgeville's public school system is governed by the Baldwin County School District. Milledgeville's public library system is part of the Twin Lakes Library System. Mary Vinson Memorial Library is located downtown. Georgia College & State University also has a library. Bill Miner, Canada's "Gentleman Bandit"
^ "Milledgeville City Hall". 2017. Retrieved May 16, 2017. ^ "Special Collections Frequently Asked Questions and Topics: Home". ^ a b "Geographic Identifiers: 2010 Demographic Profile Data (G001): Milledgeville city, Georgia (Revision published Jan. 25, 2013)". U.S. Census Bureau, American Factfinder. Retrieved October 28, 2013. ^ "Milledgeville City Hall - City Council". www.milledgevillega.us. ^ "Milledgeville City Hall - Mayor's Office". www.milledgevillega.us. ^ "Milledgeville Police Department, Milledgeville, Georgia, department overview". milledgevillepd.com. ^ "Milledgeville City Hall - Fire Department". www.milledgevillega.us. ^ Hobbs, Billy (June 21, 2016). "Grady EMS presents transition plan". Union Recorder. Strong, Robert Hale (1961). Halsey, Ashley (ed.). A Yankee Private's Civil War. Chicago: Henry Regnery Company. pp. 67–70. LCCN 61-10744. OCLC 1058411.